Shaped roughly like a camping pan with a serious handle to dissuade the occasional bear in the middle of the night, Fremont County is a conglomeration of high desert plains, sweeping valleys, and a series of renowned canyons that wind their way through the southern part of the county. Much like the diverse topography found within its lines, Fremont County also features a wide array of opportunities that offer something for just about anyone—and if you can’t seem to find a single thing to enjoy doing in County 10, you probably aren’t trying hard enough. Because of its rich history of “come and gone” economies like fur trading, uranium and gold mining, and other boom and bust” industries, Fremont County is home to a number of modern day, thriving communities, and a wealth of historical treasures like deserted mining towns and camps, rendezvous sites, ranches, and more locations that were frequent stops along the routes for early American homesteaders. Thousands of years of expansive Native American historical influence, the peak of the fur trading era, early homesteading efforts, and the discovery of South Pass (which proves that Wyoming played a crucial part in geographically shaping what America looks like today—you’re welcome) all contributed to the establishment of Fremont County and what it’s most known for today. But what is it known for, exactly? What is there to do in this camp-pan-shaped, topographically confused west-central county? Wyoming may not have the lights, the excitement, or the shows of the Las Vegas Strip—but that also means we don’t have the lines of people, the bad moving billboard advertisements, or the weirdly up-close-and-personal guys who dress up like Abraham Lincoln and Jack Sparrow (at least most days, anyway). What we do have, however, are beautiful night skies, scenic byways, and four Vegas-style casinos along the Wind River Indian Reservation. If you’re feeling particularly lucky during your time in County 10, pull into one (or all—depending on the amount of luck you seem to think you possess) of its four casinos and casino hotels in Riverton, Ethete, and Lander. Trying to get away from it all (or them all)? Don’t worry—for those of us who feel that even 587,000 people spanning the 98,000 miles of Wyoming territory is a bit crowded at times, there are plenty of opportunities to be truly alone in Fremont County. For starters, if you happen to be traveling by way of Dubois, take a day or two and explore the volcanic lava-formed Absaroka mountain range. If you’re looking to stay overnight, choose to pitch a tent or stay at one of the area’s many dude and guest ranches.. Looking to camp? Try some of these top camping areas for both RV and tent sites as suggested by “Wyoming’s Wind River Country”: Togwotee Pass, Boysen State Park, Sinks Canyon, The Loop Road, or Double Cabin Campground. Take a hike (we’re not being rude) and hit up one of the numerous trail systems found in Fremont County’s Wind River and Absaroka Mountains—including Lake Louise outside of Dubois and Christina Lake from Lander. The Popo Agie, Sweetwater, and Wind rivers, as well as their tributaries, are the most significant waterways in Fremont County. Try your hand (and rod) at some of the best fishing in Wyoming, with over 43,000 acres of water and another 2,000 miles of pure, snowmelt-fed streams. If you or one of your traveling companions has mobility restrictions, or you’d simply prefer to stay behind the wheel on your county 10 adventure, there are numerous driving tours that “Wyoming’s Wind River Country” has outlined—visit “windriver.org” for more information. It may not have panned out for everyone, but many of Fremont County’s towns and camps were established because of the inescapable allure of gold and other natural resources during the 1800s and early 1900s. Each summer, South Pass City holds its “Gold Rush Days”, where visitors can pan for gold, watch a vintage baseball tournament and printing press demonstrations, and more. Fremont County is also home to a number of ghost towns. Some still maintain a small number of residents and others have been entirely abandoned, leaving behind untouched scenes from everyday life like cups and plates on the table just as they had been left after the residents’ last meal. Check out Atlantic City, Bonneville, Jeffrey City, and Miner’s Delight, to name just a few. Have you inherited your uncle’s role as the family history buff? The Fremont County Museums system provides a plethora of countywide historical information and beyond. These museums reside in Dubois, Lander, and Riverton, and all three and their hours of operation can be found at “fremountcountymuseums.com”. 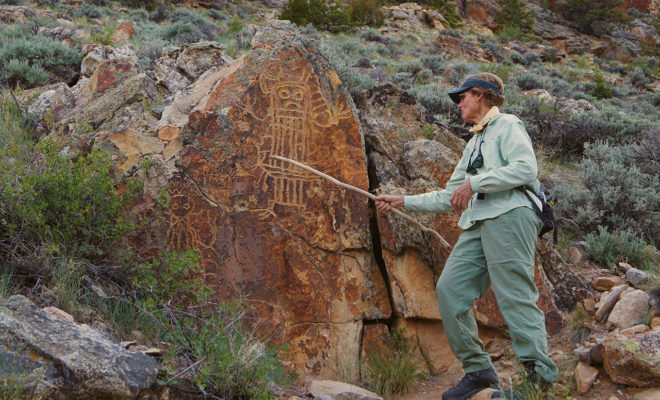 A Historic Walking Tour is available in all three communities, as well as numerous programs for both children and adult visitors to learn more about the area’s cultural heritage and historical significance of Fremont County. The “1838 Rendezvous” is an annual event that takes place in Riverton along the banks of the Wind River, where vendors, craftsmen and women, and traders gather to commemorate the “men, women, and children who moved so lightly upon the world that only the land and the river remain a witness…”—these being the numerous “mountain men” who traversed the western mountain landscape. Visit 1838rendezvous.com for more information and for this year’s special Total Solar Eclipse event. For years, the Wind River mountains and the surrounding lands have been a source of adventure—for both those looking for it and those who just “happened” upon it. Fremont County has historically been a frequent stop for those moving westward as well as a destination for numerous dude ranches, cattle and sheep operations, and rodeos. For a taste of cowboy living, Fremont County offers experiences for those of us who are well-versed in the western way of life, as well as those who are less familiar with the Wyoming lifestyle. 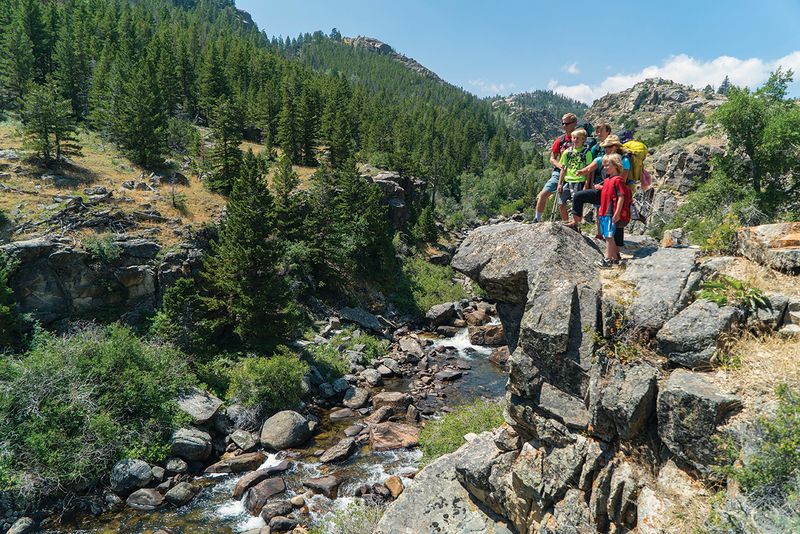 A number of dude ranches are available for daily and longer-term excursions, and boast knowledgeable staff, fun for your entire family, and an adventure into some of Wyoming’s most stunning backcountry. If you’re looking for more of a sidelines kind of view, check out one of Fremont County’s numerous rodeos every year. 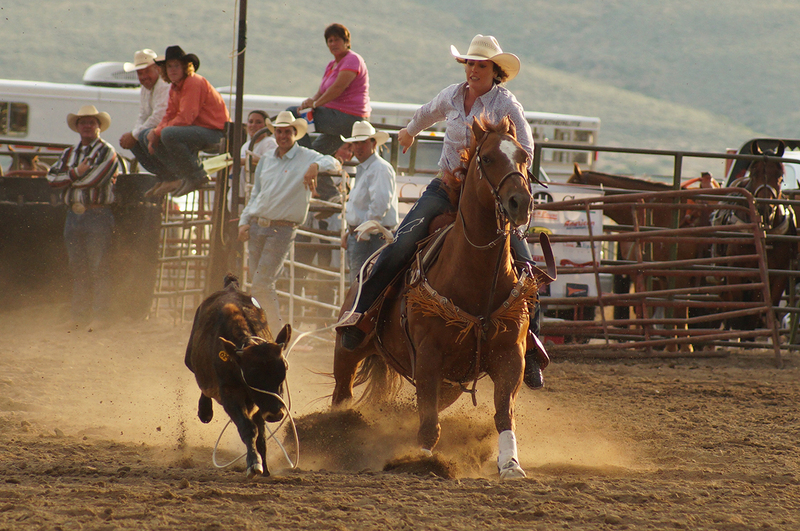 The rodeos happen from June through September in Crowheart, Dubois, Fort Washakie, Lander, Pavillion, Riverton, or Shoshoni. Lander Pioneer Days Rodeo is the oldest paid rodeo in the world—it’s taken place each year in July for over 110 years. If you and your vehicle prefer dirt over pavement and you want your tires (or feet) to tread off the beaten path, look no further than the hundreds of miles of trail systems in Fremont County open to rock climbing, skiing, hiking, biking, ATVs, horseback riding, and more. For the biking enthusiast, map out a route along the Fremont Area Road Tour (landercyclingevents.org) or visit the “Johnny Behind the Rocks” trail system for a high desert experience ranging from beginner to intermediate trails. Check out the Bureau of Land Management to see where Fremont County offers ATV-friendly trail systems to get an even closer look into some of the incredible scenery the county offers. For roads that are truly less traveled, take a look into Fremont County’s active rock and ice climbing communities. The county is now a renowned recreational hotspot for professional climbers, who love sharing their knowledge with others through classes, clubs, and yearly events that continue to spark interest in climbing. 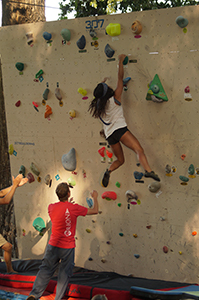 Check out Sinks and Wild Iris climbing locations for continually updated climbing routes. 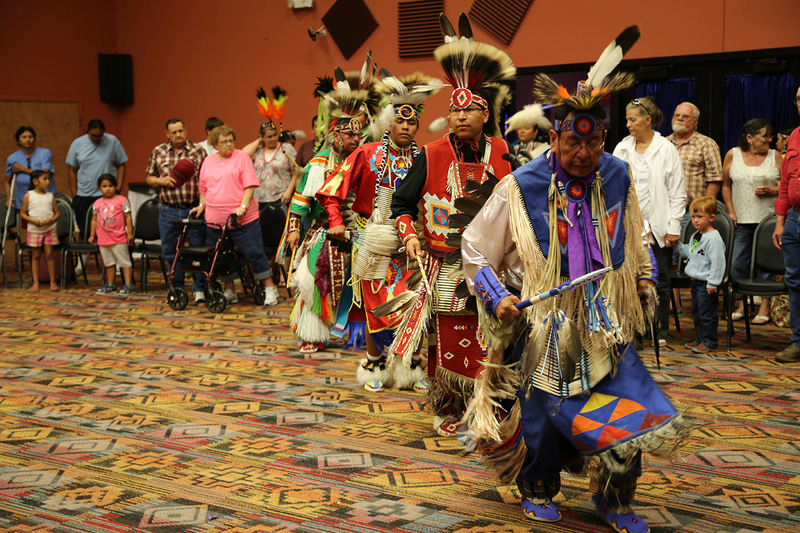 Powwows are held in Fremont County from April to September, where those of Native American heritage continue the long tradition of participating in powerful, energetic dances to honor tribal members, important events, and to seek protection from their people’s elders and ancestors. 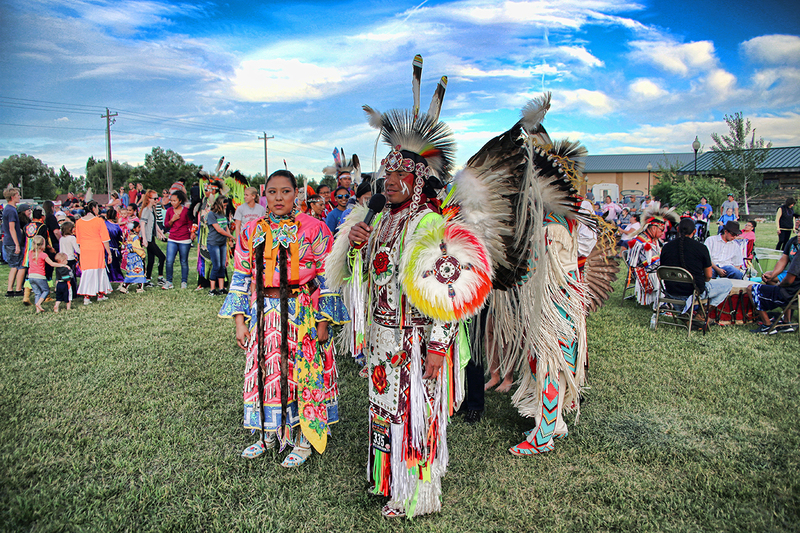 Find a full schedule of powwows online at windriver.org. The wild horse, or mustang, played a significant role in the shaping of the American West as we now know it, but it first served as an integral part of the way of life for the Plains Indian. The mustang’s role in modern-day Wyoming is one that is highly contested by ranchers, land owners, conservationists, and other parties—but one thing is for certain: wild horses have a place in the history of the American West, and just like any other artifact. Their presence should be shared with those who care to preserve our state’s storied past. To learn more about just how significant the mustang was to the shaping of the many cultures of Fremont County’s Native American populations, plan to make a stop at the Wind River Wild Horse Sanctuary outside of Lander (windriverwildhorses.com). Sold! Former U.S. Army Green Beret turned businessman buys the town of Buffalo, WY. Inaugural Sheridan WYO Winter Rodeo a Success!